At Direct Energy, your privacy is important to us. We are committed to maintaining the confidentiality, security and accuracy of your personal information. This Privacy Code (the "Privacy Code") describes the information that Direct Energy collects, how we use it and to whom that information may be disclosed. In particular, this Privacy Code applies to any personal information Direct Energy receives, from all individuals, unless the personal information is dealt with in Direct Energy's policies that deal with the personal information of employees. This Privacy Code applies only to Direct Energy's activities that are subject to the provisions of Canada's federal and provincial privacy legislation, including, where applicable, the federal Personal Information Protection and Electronic Documents Act, and Alberta's Personal Information Protection Act. For the purposes of this Privacy Code, "personal information" means information about an identifiable individual. This does not include the name, title, business address or telephone number of an employee of an organization when used for business communications information about our business customers is not covered by this Privacy Code. 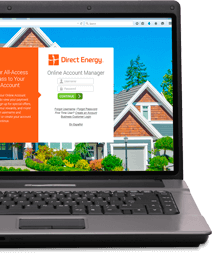 As a general rule, Direct Energy collects personal information directly from you. If third parties hold information Direct Energy requires, we will endeavor to ensure the information has been collected with your consent. We may also collect market-related information, which may include personal information, concerning market trends and activities impacting our business. This information may include contract terms, financial information and other information for the purpose of market analysis and strategic planning. This information may also include information related to our media and public relations activities or related to our interactions with financial and other analysts and advisors. Direct Energy uses service providers outside of Canada to collect and/or process and/or store personal information for the purposes set out below in the section titled "The Purposes for Collecting Personal Information". To ask any questions or to obtain written information about Direct Energy's policies and practices regarding those service providers, you may write to our Privacy Officer at the address listed below in the "Contacting Us" section. When we collect your personal information, the purpose(s) for collecting the information will be communicated before or at the time of collection. It is required for any additional purposes that may be described at the time we advise you of the use of your personal information (which consent may be express, deemed or implied as explained below). It is important to us that we collect, use or disclose your personal information where we have your consent to do so or as provided in this Privacy Code. Depending on the sensitivity of the personal information, your consent may be express, implied or deemed (using an opt-out mechanism). Express consent can be given orally, electronically or in writing. Implied consent is consent that can reasonably be inferred from your action or inaction. For example, when you accept our products or services, we will assume your consent to the collection, use and disclosure of your personal information for purposes related to your acceptance and use of those products or services, or for other purposes identified to you at the relevant time. Deemed consent is consent we assume in the event that you do not exercise an opt-out mechanism offered to you. Typically, we will seek your consent at the time that we collect the personal information. In some circumstances, your consent may be obtained after collection but prior to our use or disclosure of your personal information. If we plan to use or disclose your personal information for a purpose not previously identified (either in this Privacy Code or separately), we will endeavor to advise you of that purpose before such use or disclosure. Consent may be withdrawn or changed, subject to legal or regulatory requirements. Where required, Direct Energy will advise you of any implications of withdrawing or changing consent. If you wish to withdraw consent, where consent is needed, you may contact Direct Energy using one of the methods listed in the "Contacting Us" section, below. You may change or withdraw your consent at any time, subject to legal or contractual restrictions and reasonable notice, by contacting the office of our Privacy Officer using the contact information set out below. In some circumstances, a change in or withdrawal of consent may limit our ability to provide products or services to, or acquire products or services from, you. We assume, unless you advise us otherwise, that by receiving a copy of this Privacy Code or by continuing to deal with us, you have consented to the collection, use and disclosure of your personal information as explained in this Privacy Code. Direct Energy will endeavor to safeguard personal information using methods that are appropriate to the sensitivity of the information. It is important that the personal information Direct Energy holds about you is accurate and current. Direct Energy requires you to keep us informed of changes to any personal information. Except as otherwise permitted or required by applicable law or regulatory requirements, Direct Energy will endeavor to retain your personal information only for as long as is necessary to fulfill the purposes for which the personal information was collected. You can ask to see the personal information that we hold about you. If you want to review, verify or correct your personal information, please contact our Privacy Officer using the contact information set out below. Please note that any such communications must be in writing. When making an access request, we require specific information from you to confirm your identity and right to access, as well as to search for, and provide you with, the personal information that we hold about you. We may charge you a fee to access your personal information; but we will advise you of any fee in advance. If you need help in preparing your request, please contact the office of our Privacy Officer. Direct Energy may not be able to provide you with access to your personal information, where such refusal is permitted or required by applicable law or regulatory requirements. Direct Energy will inform you of the reasons why, subject to any legal or regulatory restrictions, access has been denied. You can direct any questions or concerns about this Privacy Code to Direct Energy's Privacy Officer. Direct Energy will maintain procedures to receive and investigate complaints and complainants will be advised of the results of any such investigation. Direct Energy may from time to time make changes to this Privacy Code to reflect changes in legal or regulatory obligations or changes in the manner in which we deal with personal information. We will post any revised version of this Privacy Code on our website. Any changes to this Privacy Code will be effective from the time they are posted, provided that any change that relates to why we collect, use or disclose your personal information will not apply to you, unless you consent to that change. This Privacy Code was last updated on June 7, 2013. This Privacy Code does not create or confer on any individual or on Direct Energy any rights, or impose on Direct Energy any obligations beyond any rights conferred or obligations imposed by Canadian privacy legislation.